Is it safe to send my password over email? No, it is never safe to send your password over email. You should not share your password with anybody. Can I write my password down? We understand that you have a lot of passwords to remember- we do, too! It is not a best practice, however, to write your password down on a sticky note or piece of paper as it could get into the wrong hands. There are many password managers online that you can use to keep track of your passwords. The password manager applications are encrypted and password protected so only you will have access to them. ITS does not officially support any password managers, but here are some common applications that you can look into. Is using lots of special characters and numbers in your password more important than having a long password? no; password security increases exponentially as it increases in size - longer is always better. However, numbers and special characters help increase the complexity of your password as well, although they have less an impact than length. E-mail attachments are the most common vector for malicious software. When you get a message with an attachment, delete it—unless you are expecting it and are absolutely certain it is legitimate. If a message states that you must act immediately or lose access, do not comply. Phishing attempts frequently threaten a loss of service unless you do something. Cybercriminals want you to react without thinking; an urgent call to action makes you more likely to cooperate. The best way to ensure your valuable data is secure is by having a backup. There are many ways of backing up your computer. Please click through the tabs in this section to help you make the best backup choice for your data. A backup is most valuable when it’s performed automatically without any manual intervention, and when it’s performed on a regular basis. You can use Time Machine to schedule your data backups on a Mac, and Windows File History to back up data on a Windows 10 device. There have been many instances where both a computer and its backup were stolen at the same time, or data loss occurs when a virus infects a computer and the backup is also affected. It’s important to make sure your backup is stored in a location separate from your computer or else you put yourself at risk. 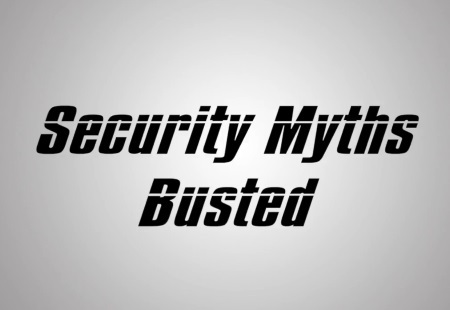 Watch the video above to learn more about common misconceptions in Cyber Security and what you can do to avoid them and stay safe!